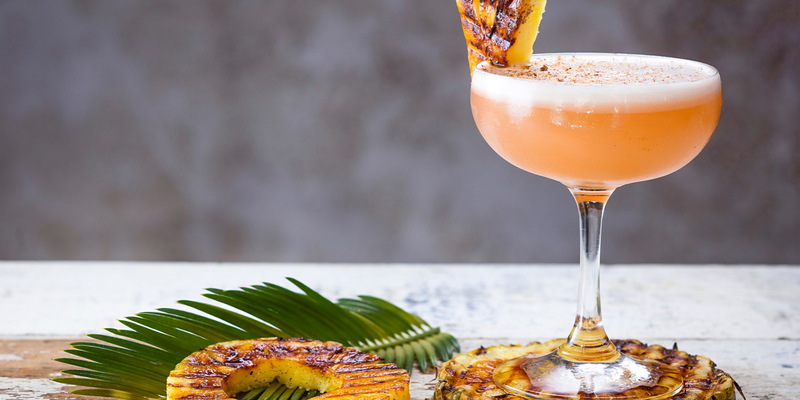 Pineapple and lemon combine to give The Guadalupe a tropical flavour, which is as revitalising as it looks. 1. Grab a cocktail shaker and top it up with cubed ice. 2. Pour in Ballantine’s 17yo, smoked maple syrup, lemon juice and egg white. Shake it up. 3. Pour the cocktail into a coupette glass and strain. 4. Garnish with a grilled slice of pineapple and grated nutmeg. Sweet, fruity and gently spiced A drink to impress and share with friends The world's first and most awarded 17YO blended Scotch An impressive blend of whiskies aged 17 years and over that's perfect for sharing with friends.